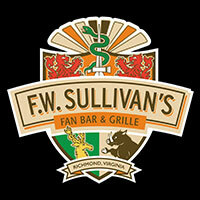 Believe it or not, the Virginia gubernatorial election is just a few days away. The race between Democrat Ralph Northam and Republican Ed Gillespie has been a tumultuous one, to put it very lightly. The President Trump-supported Gillespie campaign has run attack ads that claim Northam’s vote against a sanctuary city ban in February contributes negatively to the safety of Virginia by letting “dangerous illegal immigrants back on the street, increasing the threat of MS 13.” (Note: On Wednesday, Northam stated that he opposes sanctuary cities, in a move that perplexed most observers.) Additionally, Gillespie has made the promise of economic growth and job creation a core aspect of his campaign. Meanwhile, the Democrats have been seeking to energize their base by inviting President Obama to a Northam rally, and most recently hosting an event in Scott’s Addition featuring Senator Kamala Harris and former Attorney General Eric Holder. 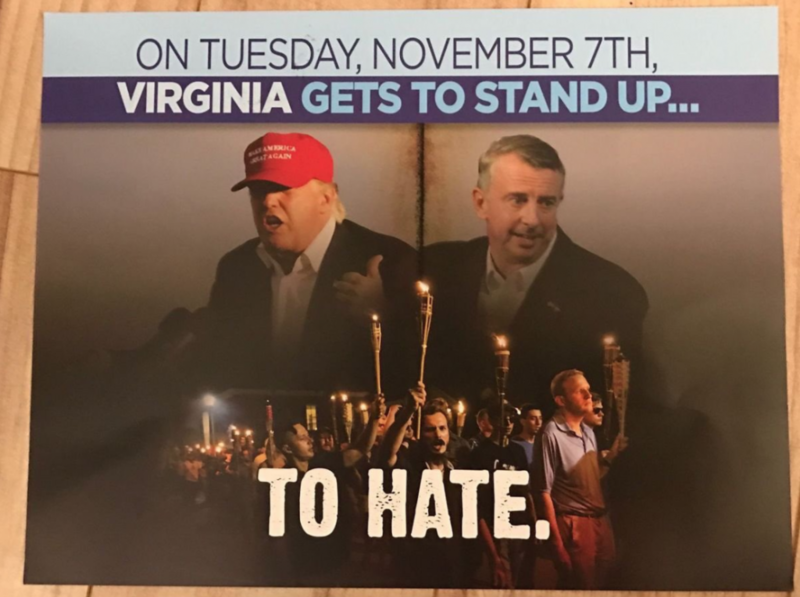 The campaign has also been emphasising Gillespie’s ties to white nationalism, sending mailers that directly link the Republican candidate to President Trump and the white supremacist rally in Charlottesville. That’s not even mentioning the recent advertisement released by Latino Victory Fund showing a Confederate flag-flying truck with a Gillespie campaign sticker chasing minority children. While the ad was not produced by the Northam campaign, it was still met with heavy conservative backlash against the candidate. The gap between the candidates has been tightening into single digits in recent polling. It isn’t much of a stretch to predict that this race will be a close one, and with both candidates differing on social issues such as reproductive rights, gun control, Medicaid expansion, and LGBTQ rights, the results of this race are bound to affect the lives of the majority of Virginians, especially those in marginalized communities. 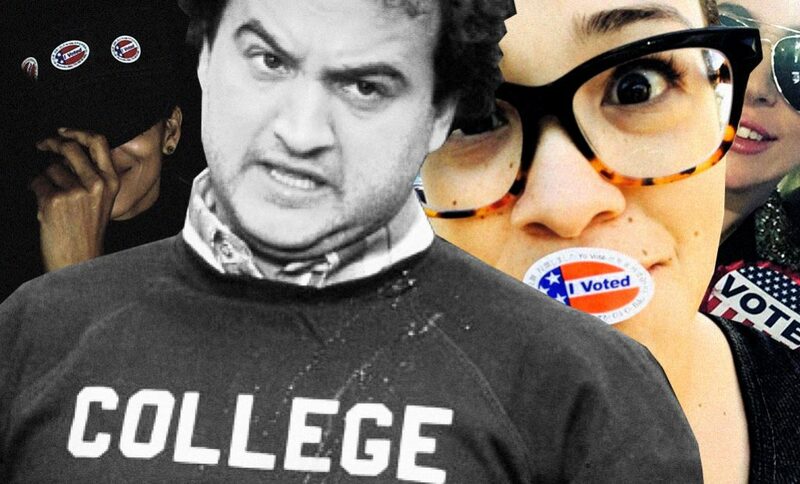 College students are an important yet commonly overlooked part of the voter base. 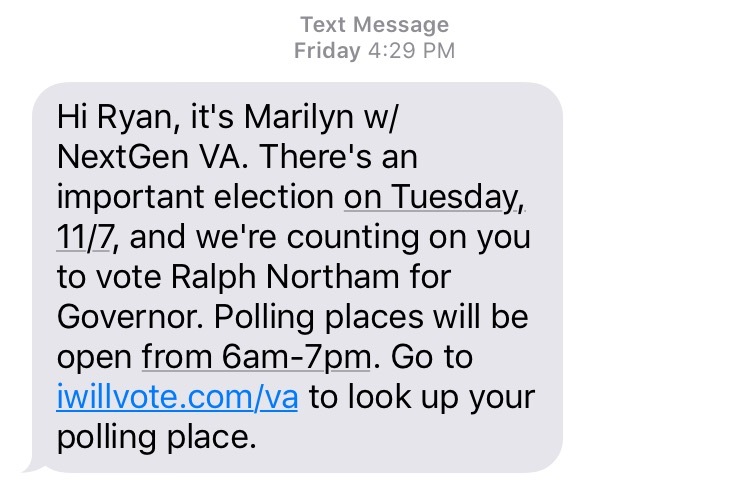 Democrat-aligned group NextGen America, however, is going so far as to obtain the contact information of more than 30,000 Virginia Commonwealth University (VCU) students and sending them text messages encouraging them to vote for Northam. An actual text message received by the author. Image captured by Ryan Persaud. 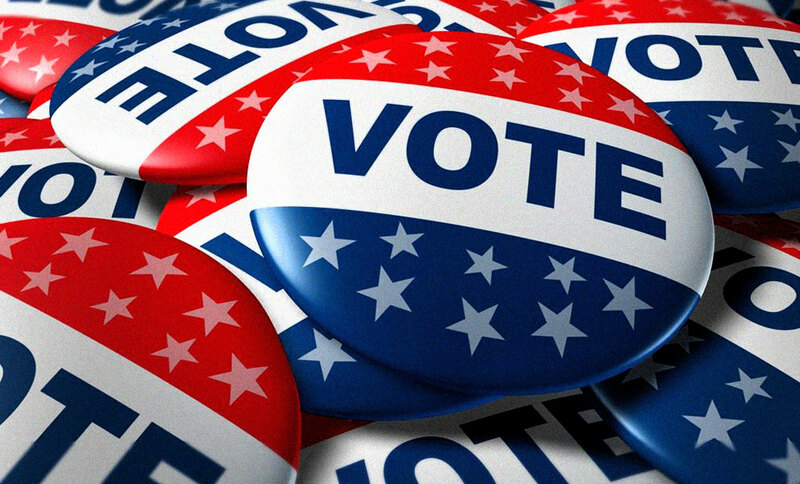 With the tension surrounding the gubernatorial election, RVA Mag decided to ask a variety of VCU students who they are voting for, and how they feel about the election as a whole. Elias Hakim, a junior majoring in political science and a member of the Young Democrats at VCU, said he hopes Virginia chooses Northam over the bigotry and divisiveness he claims Gillespie represents. Hakim said the national attention on this election has been exciting to him, claiming that many people see this election as a referendum in response to the election of President Trump. A member of the College Republicans at VCU, who stated they were only allowed to speak as an organization and therefore remained unnamed, cites Gillespie’s economic plans as a major reason why they support him. The member also criticizes Northam’s campaign, claiming the that candidate has only focused on the wealthier areas of Virginia. “Ed Gillespie has visited every corner of Virginia, while Ralph Northam has stayed tied to his affluent donor base in Northern Virginia,” the member said. Patrick Miller, a graduate student in VCU’s school of education and a member of the Young Democratic Socialists at VCU, said that he’s voting for Northam but is frustrated about the election as a whole. Miller criticizes Northam’s environmental policies, and wishes the candidate would be more vocal about some of his more left-leaning labor policies. Another wasn’t even sure when the election was, stating, “I heard something about that, I think I heard it’s on Tuesday.” Almost as if the election was a rumor floating around. While some may wish the current political climate was only a rumor, it is a reality. It should go without saying that this election is critically important and that more students need to be aware. As a state university with the third largest student body in the Commonwealth, it’s depressing that some students know so little. These students’ obliviousness to next week’s election was not reflective of everyone spoken to. However, few knew much more than the candidates’ names and party affiliations. When we asked students if they were planning on voting next Tuesday many responded with, “Yeah, if I have time.” …meaning no, they will not. Next Tuesday, all eyes will be on Virginia, and when these students don’t show up at the polls, they will be sacrificing their voice in the democratic process. If Gillespie wins and this liberal student body hits the streets in protest, you can bet those uninformed, non-voting students will be out there chanting, too. *Caitlin Barbieri contributed to this report. 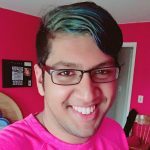 Ryan Persaud is currently studying Mass Communications at Virginia Commonwealth University. They enjoy reading and writing interesting stories, listening to various podcasts, and wasting the rest of their free time on video games. They are also an obsessive Twin Peaks fan.